How to Get Rid of Fruit Flies Every Time | Any Pest Inc. The bananas have been on the counter for 2 days. How are there already fruit flies on the bananas? It’s bananas! Many can relate to the feeling that as soon as you bring home oranges and bananas, boom. Fruit flies. Everywhere. Why are fruit flies in my kitchen? What exactly are fruit flies? What are fruit flies gnats? And how can you get rid of fruit flies? Gnats are minuscule, small-legged insects with two tiny wings. If you do have a fruit fly and gnat problem, it’s important to identity which pests are occupying your home. Gnats are actually adult flying insects that share the group with mosquitoes, black flies, and midges. While most gnats do not spread disease, female black gnats and black flies like to feed on blood and are known to spread disease to humans and livestock. What type of gnats are in my house? 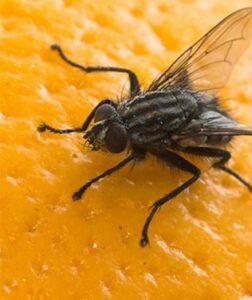 Fruit Flies—Fruit flies are the most common flying insect inside your home, attracted to fruit that is fresh and overripe. Fruit fly females lay their eggs on the decaying, organic fruit and the larvae eat the fruit when they hatch. 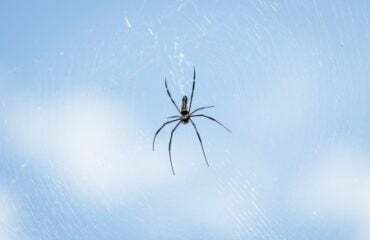 To learn more about what types of gnats are in your home, read about Gnat Prevention, Behavior, Threats, and more here. Fruit flies are usually a brownish to tan color, some with red eyes and others with dark eyes, hence the identifying names. What are the Most Common Types of Fruit Flies? The most common types of fruit flies are the Red Eyed Fruit Fly and the Dark Eyed Fruit Fly. Fruit flies enjoy ripe or decayed fruit, as well as liquors and wine. They are known to reproduce in wet and moist areas, such as near drains, by areas of still water—such as in buckets or trash cans. Fruit flies reproduce quickly, and they will keep multiplying if not properly taken care of. So what exactly can you do to get rid of fruit flies for good? 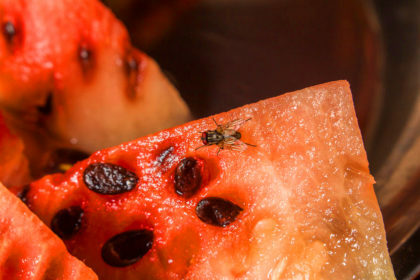 What is the best way to get rid of fruit flies fast? Keep reading to learn! 1. 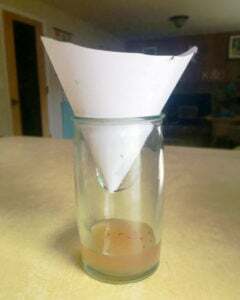 Make an Apple Cider Vinegar fruit fly trap. Pour a little bit of apple cider vinegar into either a cup or water bottle. Tape the paper so the cone shape keeps its form, and place the cone inside your cup or water bottle. Done! Let the trap work its magic. 2. Make a Red Wine fruit fly trap. A red wine trap and an apple cider vinegar trap essentially work the exact same. However, the only difference is the odor. If the smell of apple cider vinegar bothers you, try making the same type of trap, but use red wine instead. Pour a little bit of red wine into a cup or water bottle. Add in a few drops of dish soap. Take a sheet of paper and fold it into a cone (like stated above). Tape it together. Place the cone in the cup or water bottle. Let the trap work its magic! These natural home remedies help get rid of fruit flies fast and are most effective when placed near the source, such as near the fruit bowl or the drain. 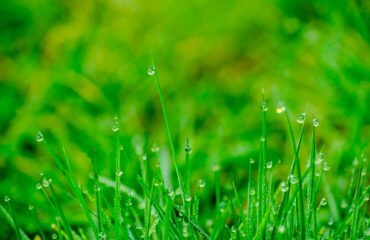 The first sign of a gnat infestation is usually spotting the population of tiny flying pests. However, with thousands of species, gnats are not easy identifiable. 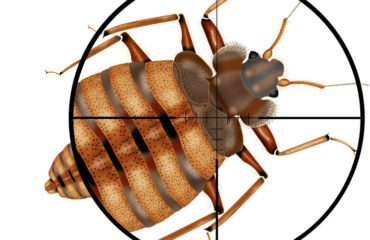 It is best to contact a pest control specialist identify the insects and properly treat the entire gnat infestation, including the larvae. Do you need fruit fly and and gnat control for your home? Call Any Pest today for effect pest control treatment for gnats and fruit flies at (678) 888-0035 or contact us online today.